Potential investors need to be convinced that your idea is viable before they offer you cash. It’s thrilling to hit on a great idea for a business, and envision yourself at the helm of a lucrative new endeavor. Less thrilling, though, is the prospect of securing the necessary financing to get from idea to real-life CEO. The truth is, finding the money to run a startup requires a lot of preliminary planning, regardless of whether you’re going to pursue outside funding or choose to bootstrap your first few months. Most startups looking elsewhere to kickstart their cash flow will have the best luck securing funding through their personal networks. You can look to an angel investor, a loan from friends or family or even crowdfunding. Alternatively, there’s also the option for a small business startup loan, another route entirely. Regardless of which financing route you take, your potential investors need to see evidence that your idea is practically viable before they throw their hats into the ring. These six signs indicate that your business idea is ready for financing — and just might provide the evidence your potential investors need to be convinced. Related: Is Seed Funding the Right Answer for Your Startup? 1. Your idea serves a true, identified need. Your business isn’t going to work, let alone make money, if it doesn’t have a customer base. And, what’s more, if they don’t need whatever you’re creating. This may seem obvious, but many aspiring entrepreneurs get so caught up in the excitement of their big ideas that they fail to plan for how that idea will function in the real world. Before you jump into the financing process, you need to identify your target customer segment and understand their behavior. You should design your product or idea to deliver a solution to a problem that those customers are facing. While we’re on the subject of product: You need to know what that product or sevice is, how it works and how you’re going to sell it. You’ve identified potential problems that may arise with your product, or barriers you may come up against in the market, and you have a game plan for troubleshooting those snags. Then, you need to perform due diligence in your industry. Determine exactly how you’ll situate your business within the existing market, understand how your product can shift and grow along with it, and differentiate yourself from competitors. And make sure your customers can afford your product or service. 2. You’ve tested out your product, and it works. Pay attention, especially to that second part. Very few lenders will feel comfortable investing their money into just an idea, no matter how enticing it might be. Your business idea is ready for financing when you have material evidence to bring to your investors’ table, whether it’s a prototype of a physical product or a beta version of a program or website. Be ready to present any data, reviews or research you’ve acquired after testing out that product, too. And if that data isn’t favorable, you might need to go back to the drawing board. 3. You have a business model and plan. If your business model is the what, your business plan is the why. Your business model indicates your business’s revenue streams, and your business plan lays out how you’re going to acquire those revenue streams. How is your business’s leadership team organized, and how is your business legally structured? What kind of equipment, staffing and marketing plan do you need to operate your business and generate income? Both your business model and plan provide proof, both to yourself and to any potential lenders, that your business idea is practical and operable. 4. And you have a financial plan, too. Whether you’re pitching an investor or seeking a small business loan through a lender, your financier will want to see how you plan on using that potential money. You can’t just ask for money as an entrepreneur. You need to know exactly how much money you need, why you need it and how you’ll use it. That’s especially true if you seek financing through an angel investor. Since these individuals lay their own money on the line to fund your startup, they need to be sure your venture is sustainable, eventually lucrative and that you’ll use their resources wisely. Poor financial planning, or no financial planning, certainly can’t convince potential lenders of your business acumen. So, draw up a financial road map that projects exactly how you’ll get from point A — where you and your resources are now — to point B, where you hope to be within the next one to five years. Be sure to include a detailed plan of your projected business expenses, or how much capital it’ll take to get your business idea off the ground, and your operating expenses, or how much it’ll cost to keep that business going. 5. You’ve recruited a qualified team to execute on your vision. Even if you created your business idea on your own, in reality, every entrepreneur needs help kicking off, then operating, their startups. 6. You can prove you spend money responsibly. 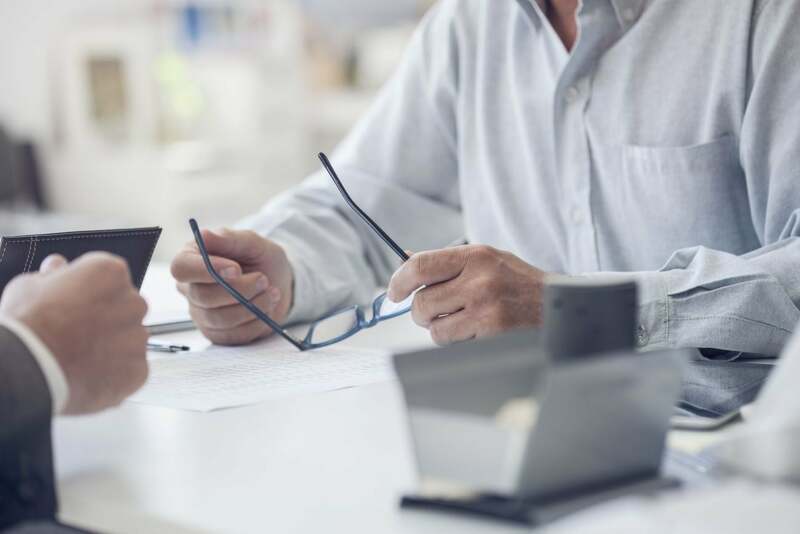 Although you might not have a way to prove you’re responsible with business financing yet, you want to make sure you’re positioning yourself to create a track record so investors and lenders can trust you. Even if you start with seed money from close friends, or crowdfunding from Kickstarter for your business idea, you may need to seek additional financing through a larger venture round or a small business lender. That’s where the proof becomes necessary. For instance, if you’re working with a lender, they’ll want to know that your business is capable of repaying your debt before extending you a loan. And any other investor will want to know that any money they give you will be spent responsibly, especially if they’re expecting returns. One of the best ways you can do that is to cultivate a healthy financial profile, and keep a high business credit score. Open a business credit card, and follow best practices to improve your credit score, like paying all your bills in full and on time and regularly checking your credit reports for errors. Then, the proof will be in the numbers. Alongside a squeaky-clean track record and a strong personal credit score, a great financial history will position you for the financing your growing small business needs, whether that’s new term sheet, or maybe a gold-standard SBA loan. For aspiring entrepreneurs, sometimes the hardest thing isn’t coming up with innovative ideas, it’s knowing which of those ideas are worthy of financing. Watch out for these six signs to know when you’re ready to seek the financing you need to turn that big idea into a reality.